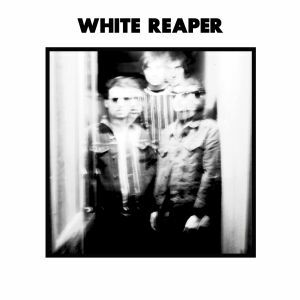 Louisville, KY band WHITE REAPER returns with their new EP on Polyvinyl Records after their Conspirator 7″. Their new self-titled EP comes with a heavy dose of caffeinated pop-punk. Their sound is tight and energetic, built with relentlessly crunchy guitars and occasional washes of colorful synth. Six tracks combine for 17 minutes of high-voltage material, assisting in their straightforward delivery. “She Wants To” is a gritty punk stomper, while “Ohh (Yeah)” brings in an extra layer of glittery electronics. Vocals are gritty and careening, bringing to mind a worthy comparison like the Unwed Teenage Mothers. “Half Bad” unfolds with wobbly synth waves, decorating the anthem with some colorful details. “Conspirator” is the crushing single from their previous 7″ on Earthbound Records, which showcases their tantrum-like sound in an explosive nutshell. Hear a couple of tracks from the EP below, then you can snag it from Polyvinyl Records – it’s available on 180-gram pink vinyl! BUY the LP from Polyvinyl Records – clear pink vinyl ! Posted on June 2, 2014 June 2, 2014 by styrofoamdronePosted in EP, ReviewsTagged Polyvinyl Records, pop, punk, White Reaper.